These lesser-visited spots are no less enchanting – discover all about these attractions below! 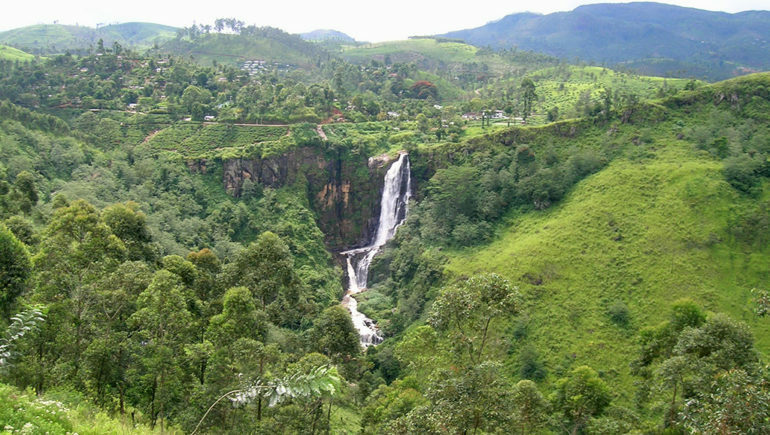 Are you planning a vacation to charming Sri Lanka, a country rich in history, cultural sights and natural beauty? We can understand if you are feeling more than a little lost when planning your itinerary, for there are a myriad of places to explore. Sri Lanka’s attractions ranges from popular ones like Galle Fort, as well as the beach paradise of Mirissa and Weligama, to other less-visited sites (but not any less fascinating than the renowned attractions!) in areas such as Mulgirigalla, Arankele and Wapahuwa . Join us, as we show you three off-the-beaten-path attractions in Sri Lanka! Venture sixteen kilometres northwest of Tangalla, and you will arrive at the magnificent Mulgirigalla Rock Monastery, an attraction not unlike the renowned cave temples of Dambulla. 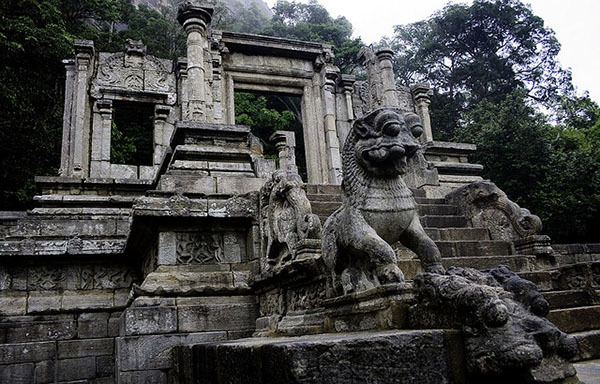 A total of seven cave temples are nestled away in a verdant green forest on five different terraced levels. Well-built granite paths and steps lead clambering travellers from the lowest terrace all the way up to the Dagoba Terrace located at the peak. Along your climb, you will set sight upon a collection of reclining Buddha statues, as well as smaller ones of seated and standing figures. Sitting at the top terrace is a small dogoba overlooking the surrounding grounds of the country. 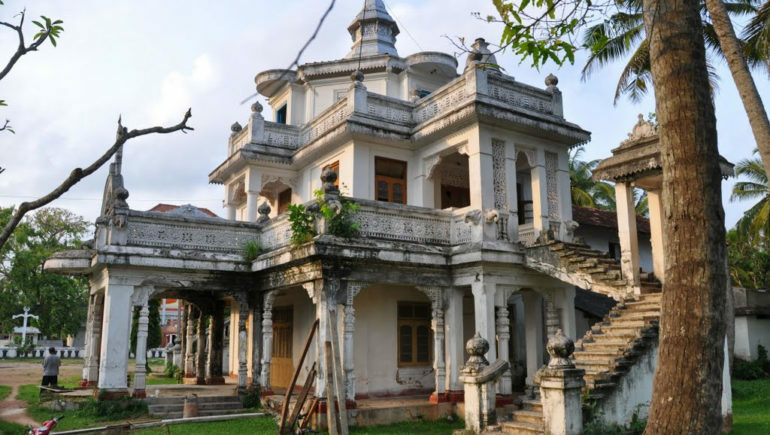 Regarded as one of the Cultural Triangle’s most fascinating sites, this little-visited attraction is a hidden gem that sits alongside a narrow side road, about twenty-four kilometres north of Kurunegala. The main part of the monastery was built during the sixth century. The monastery sits upon scenic grounds that are serene, tranquil and mystical at the same time. Wander within the grounds, and you will discover a captivating collection of ruins hidden amidst a dense jungle. 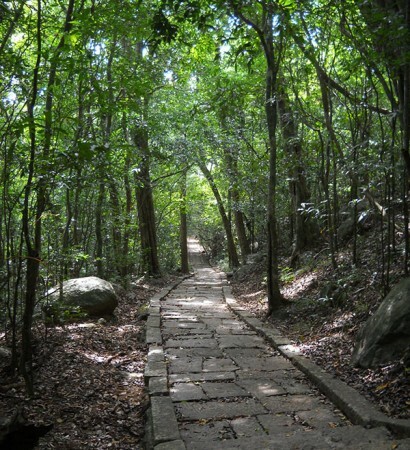 You will chance upon a long stone pathway in the forest, once used for the practice of walking meditation by the Pamsukulika monks who resided in the compounds. Situated in the Wayamba province of Sri Lanka, the Rock Fortress complex of Yapahuwa lies midway between Kurunagala and Anuradhapura. This ancient citadel is considered to be one of the best archeological site within the country. Built in the year 1273 by King Buvanekabahu I, the magnificent fortress was used as his capital. He also kept the sacred Buddha tooth relic within its compounds. The steep staircase remains a remarkable feature of the Rock Fortress. Intricate pierced-stone windows used to adorn the porch on the stairway are amiss now. However, one of these windows can now be found in the museum, located within the grounds at a short distance beyond the entrance leading to the steps. Head down further from the museum, and make time to explore the grounds of the ancient fortress, for it is an enchanting area containing narrow, winding waterways and stone ruins. 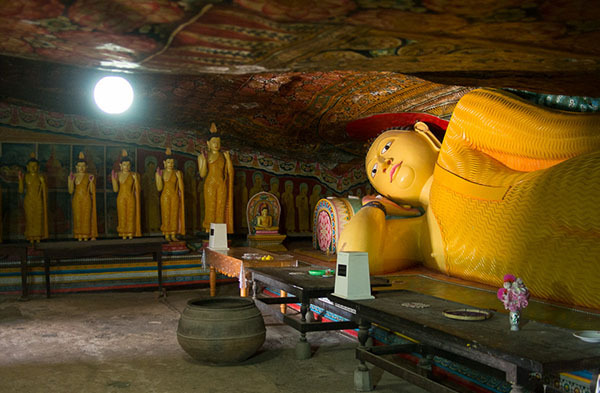 You will also find a cave temple with images and mural paintings of the Buddha created during the thirteenth century. In search of accommodation? Check out our selection of gorgeous villas in Sri Lanka!